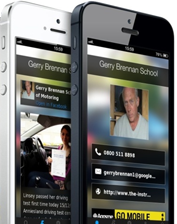 Locally driving school GERRY BRENNAN SCHOOL of MOTORING provides affordable, quality driving lessons in Milngavie. We have been in the driver training industry for more than twenty years and we cover manual and automatic driving tuition. 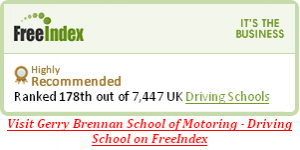 If you are looking for a driving instructor that will help you to pass your driving test first time but more importantly mould you into a driver with skills for life, look through the website to check what we have to offer. Its a good idea to look for special offers including block payment discounts, full ADI qualified driving instructors ( rather than trainees), Pass Plus registered, motorway training and any free help the company can give you on THEORY TESTS or LEARN TO DRIVE VIDEOS. All these checks help you to get the best training possible over the shortest period and at the best cost. Driving lessons in Milngavie can be taken during the daytime periods, evenings, and at weekends. They can be one hour long, one and a half hours, or two hours (for learner drivers that live that bit further away from the driving test centre). We are quite flexible on pick up points ie. Milngavie train station, university, home or work place. Both Gerry Brennan and Jack Cullen are fully qualified ADI instructors with many years of experience between them. They are both registered for Pass Plus courses. 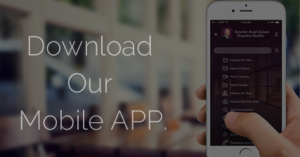 View our customer reviews page for more information. You will find a list of the areas in Glasgow covered by them for driving lessons below.